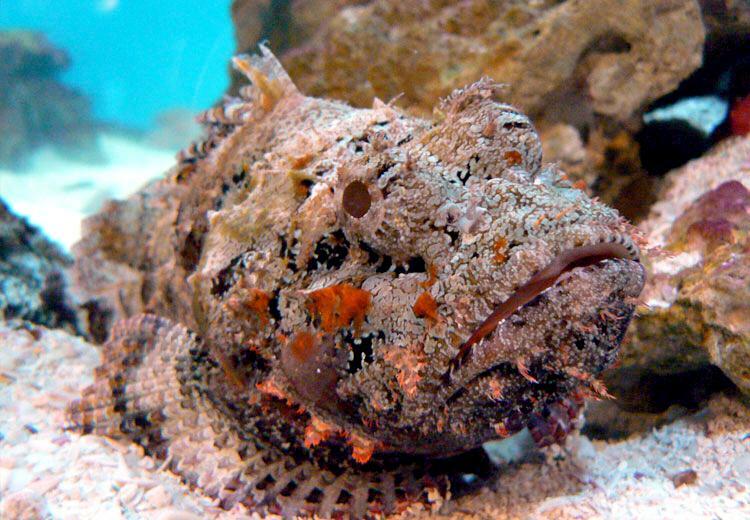 The Stonefish is the most venomous fish in the world. 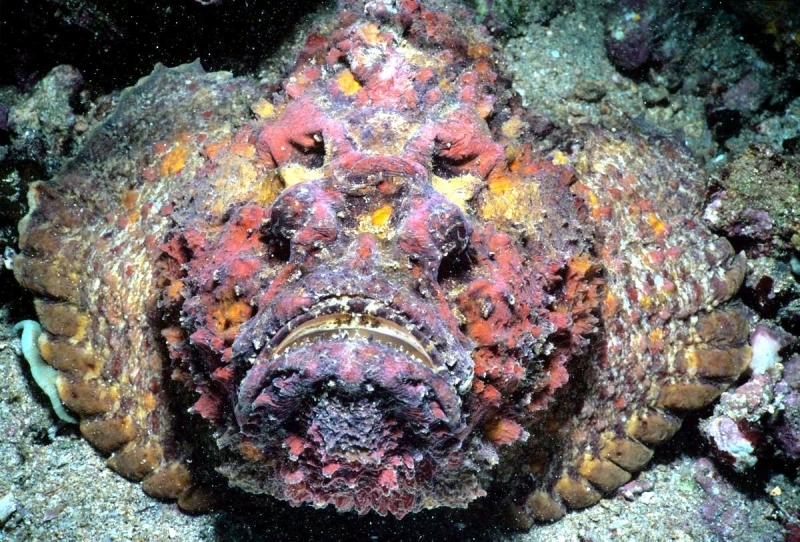 The fish is also known as the Rockfish due to its ability to camouflage its appearance and look like a rock. 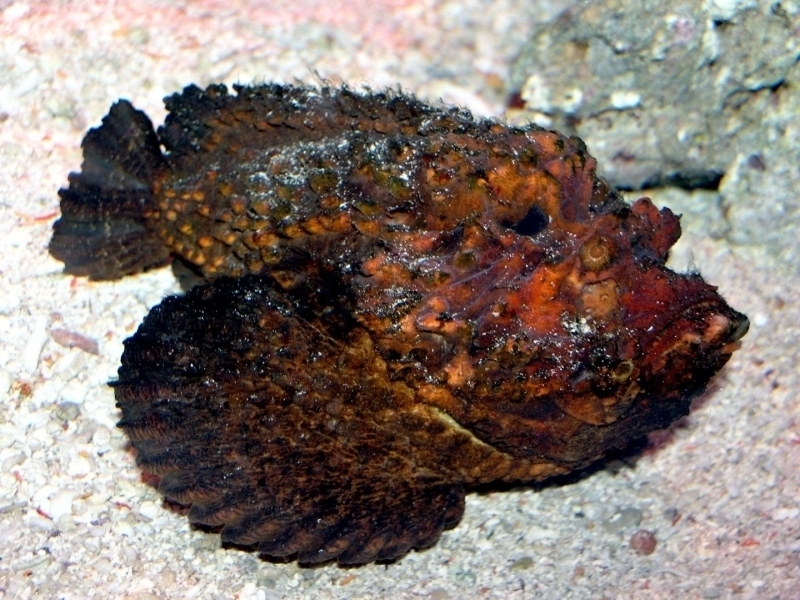 When a Stonefish feels threatened or disturbed, it erects 13 poisonous dorsal fin spines as a defense but remains motionless. 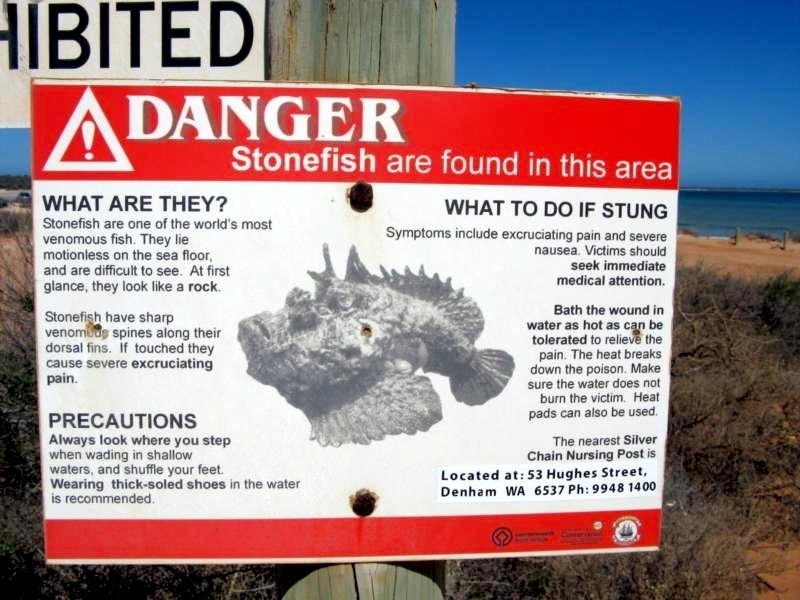 Its venom can be fatal to humans and many instances have been reported when Stonefish have stung divers, resulting in their death. 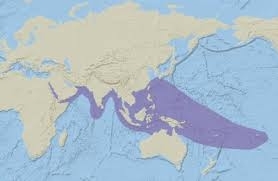 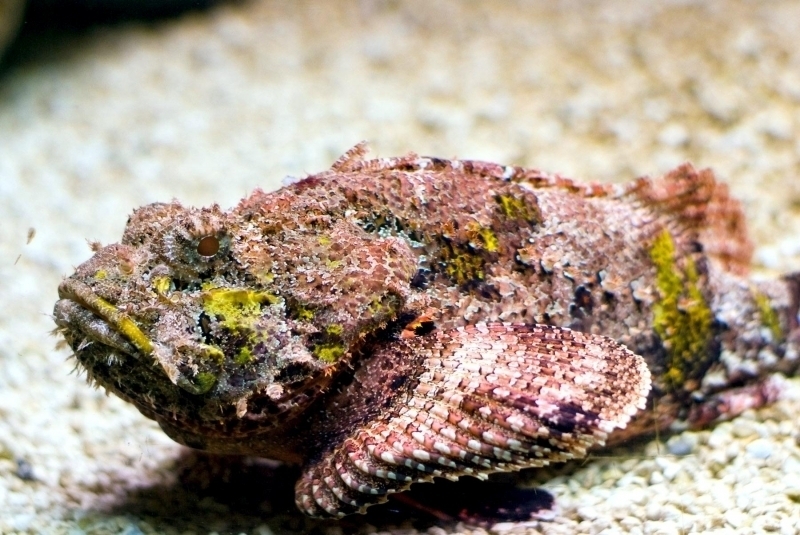 This species of fish is found in the coastal regions of Indo-Pacific oceans. 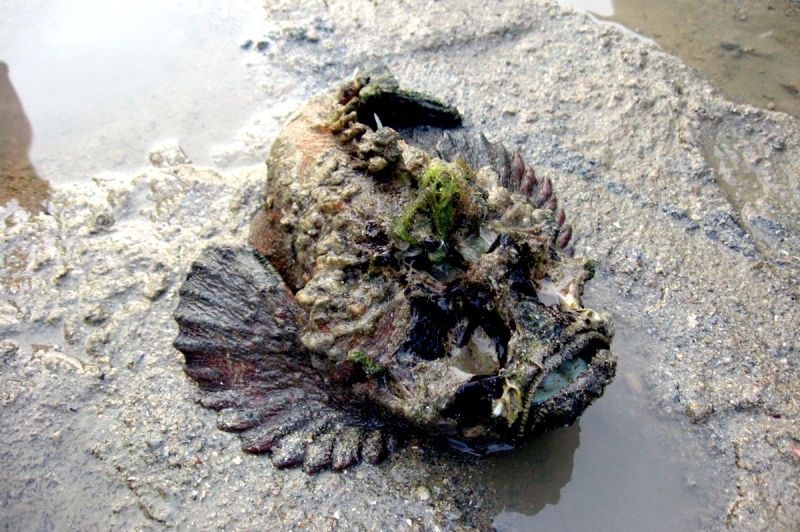 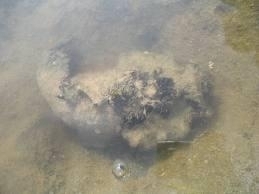 While they are primarily marine creatures, it is not unusual to find Stonefish living in rivers as well. 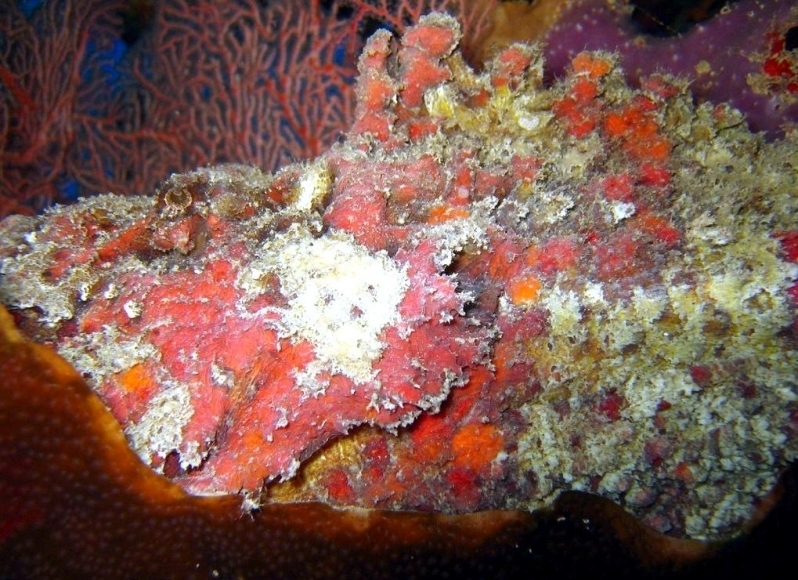 Stonefish release their toxin when in danger. 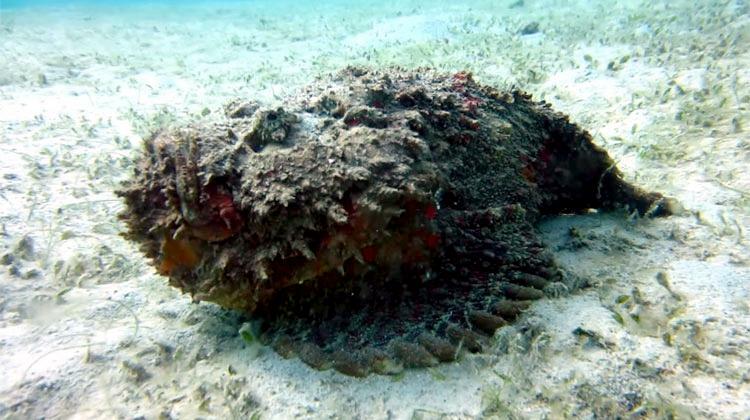 They have 13 spines on their back that inject the toxin when pressure is placed on them. 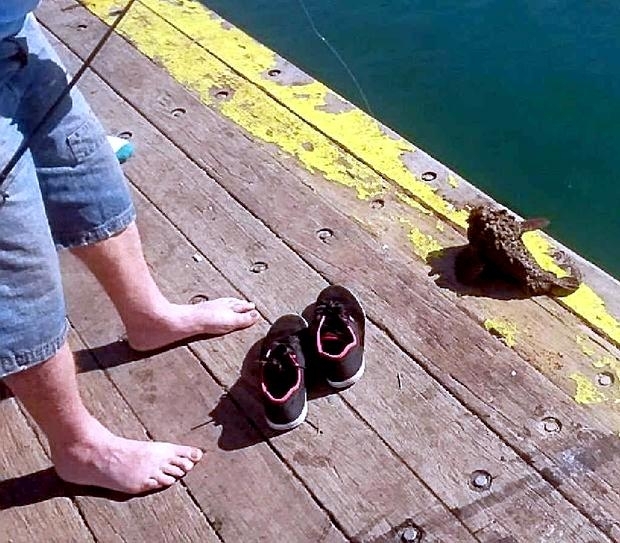 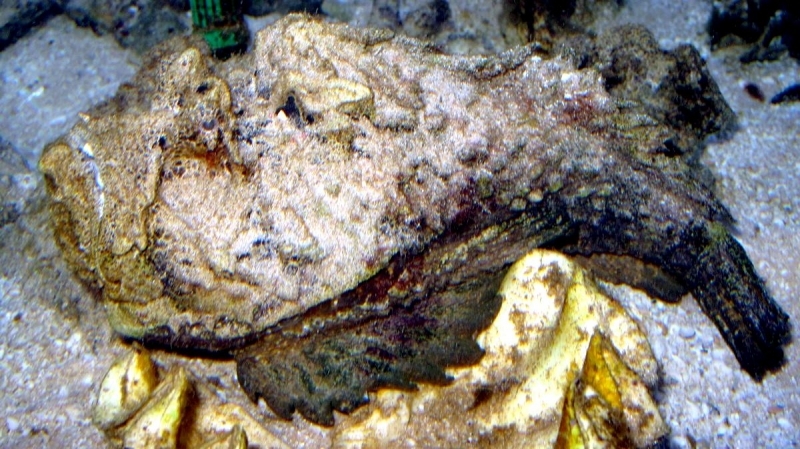 For instance, when a larger fish attacks or a person steps on Stonefish, the pressure leads to release of the venom. 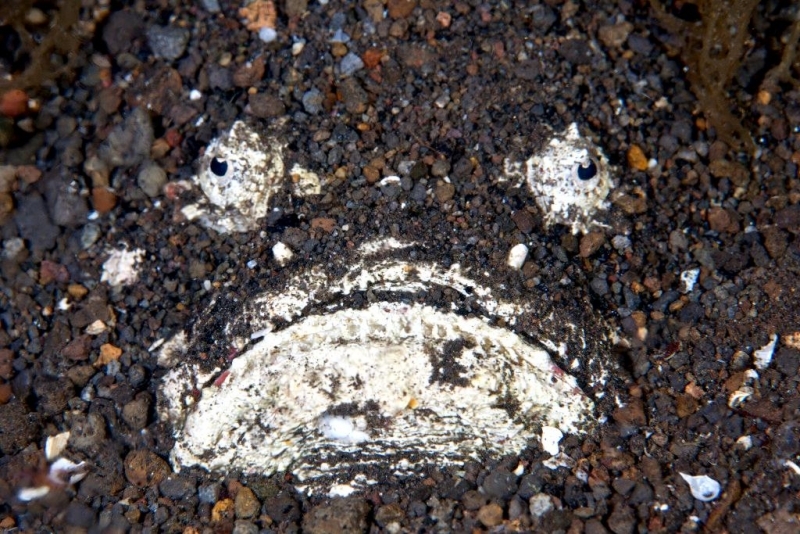 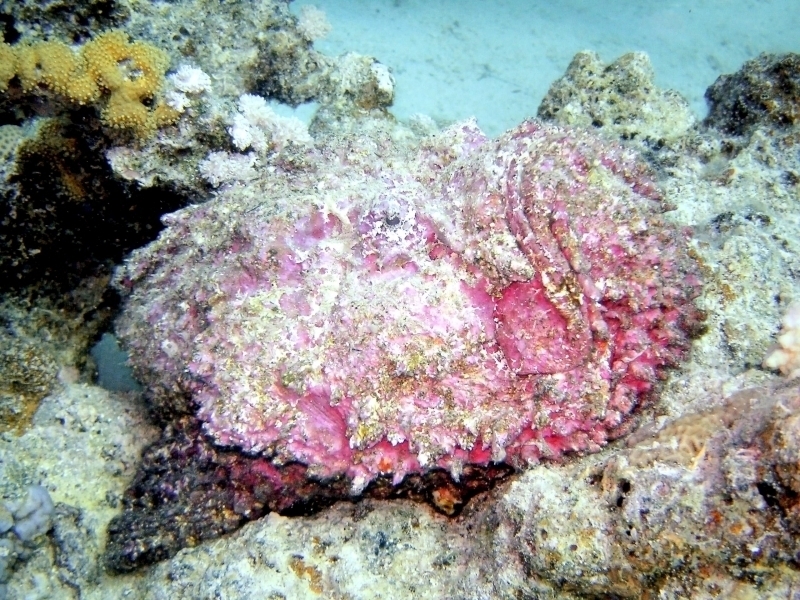 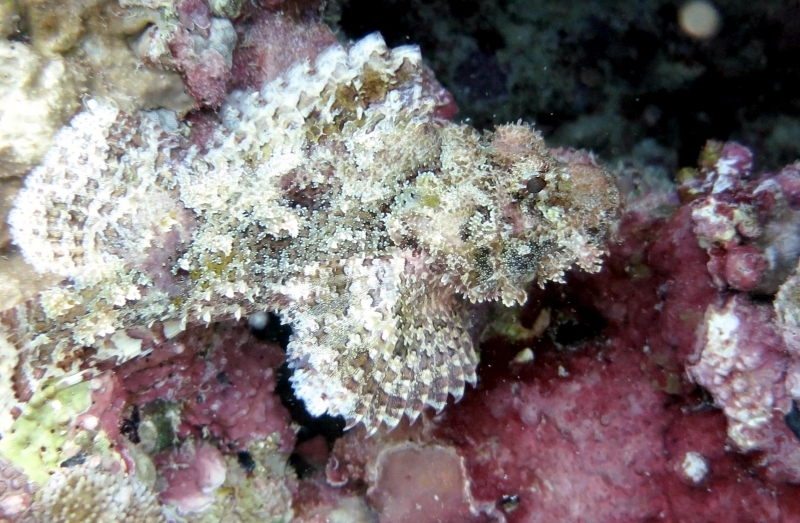 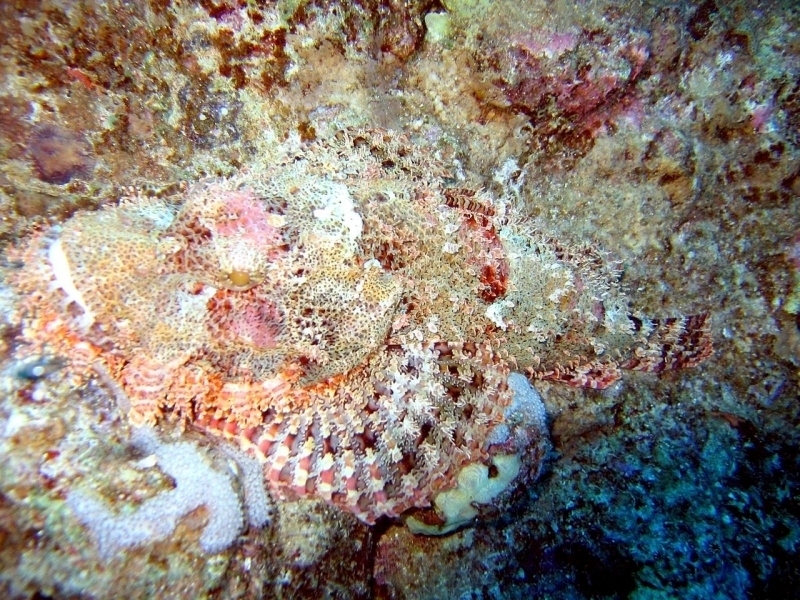 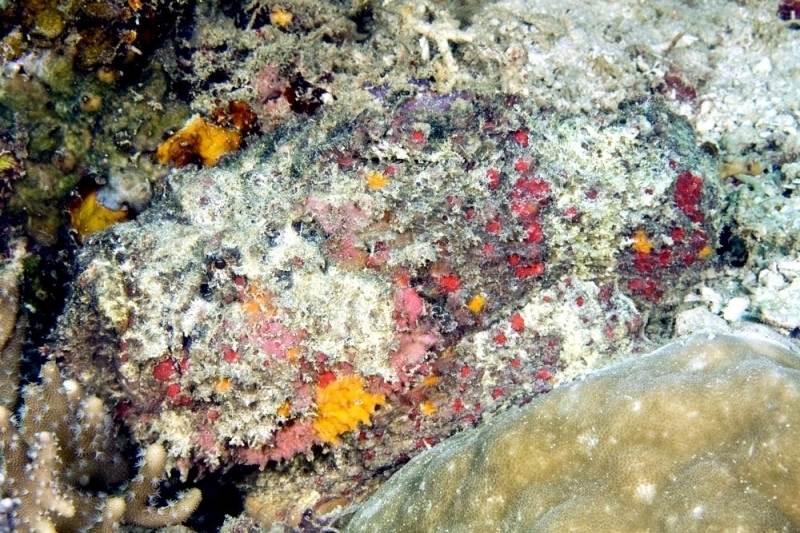 Stonefish are considered to be extremely good at camouflaging themselves. 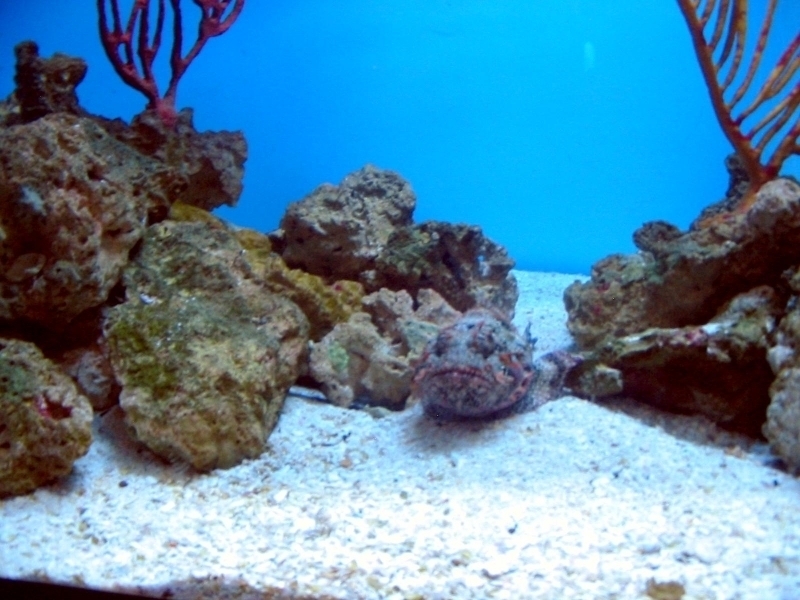 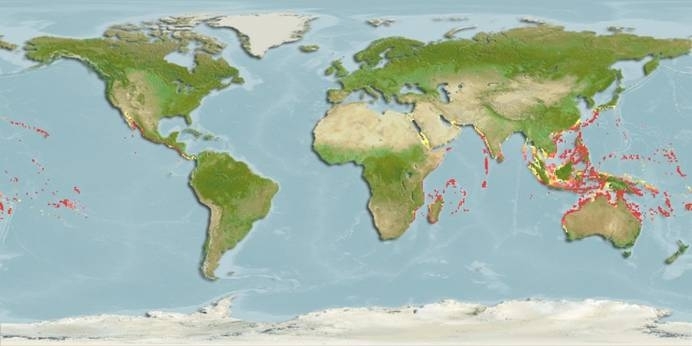 While looking for the prey, they stay still at a particular location, giving the appearance of a rock. 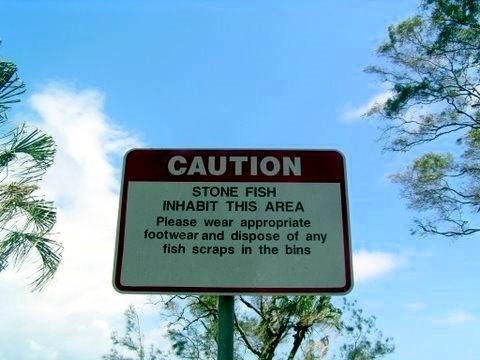 This helps them to catch their prey unaware. 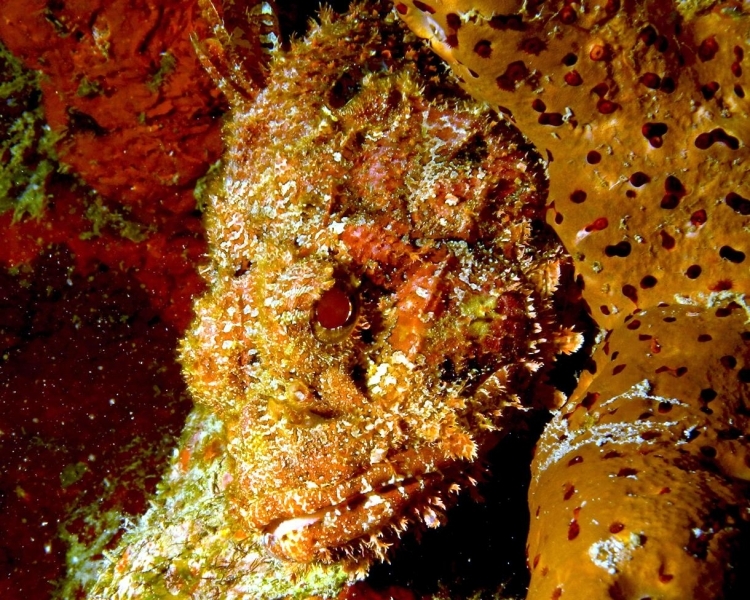 The largest Stonefish to have ever been recorded was 51 centimeters long. 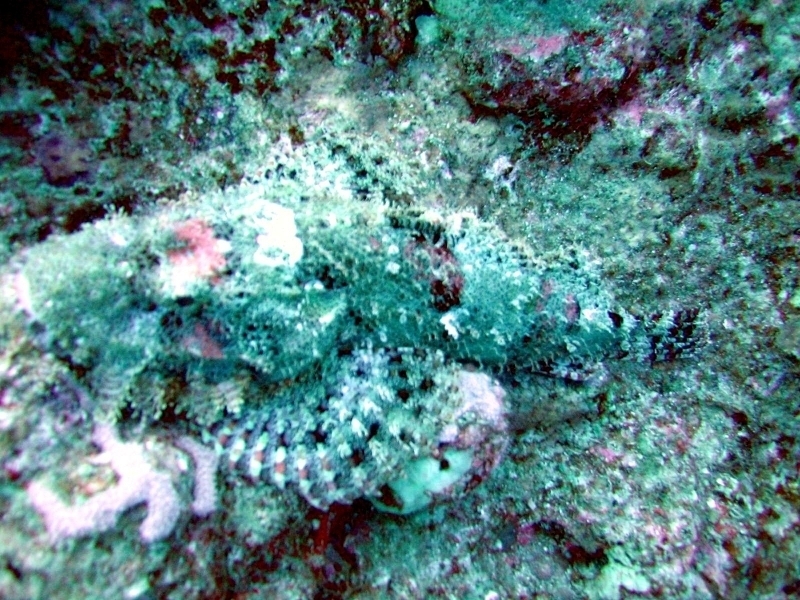 These fish are found in mottled greenish to mostly brown color. 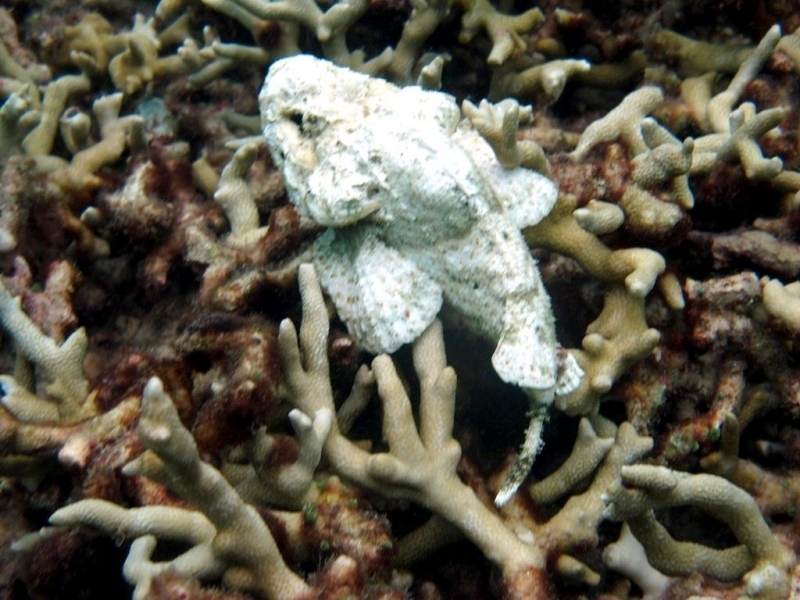 Their skin color helps them in their ability to camouflage themselves among the rocks or many of the tropical reefs. 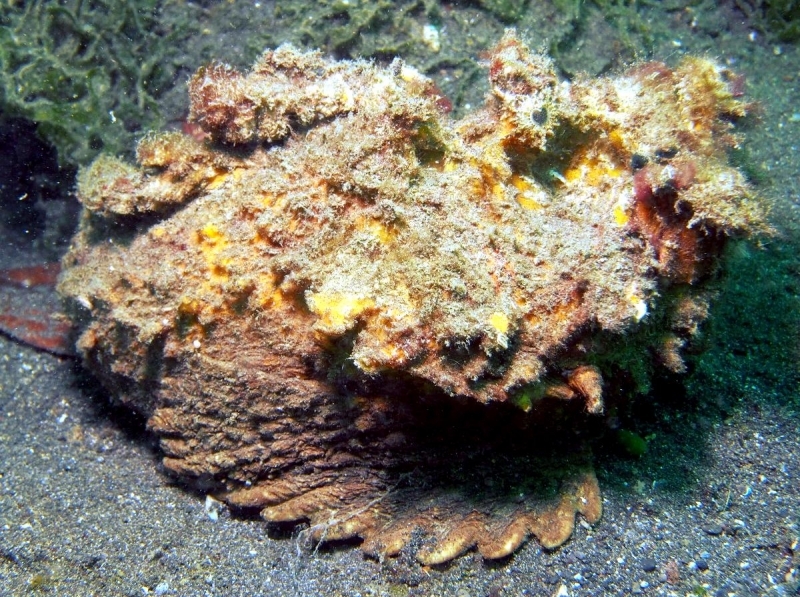 A Stonefish may produce a million eggs, of which only a small number survive till maturity. 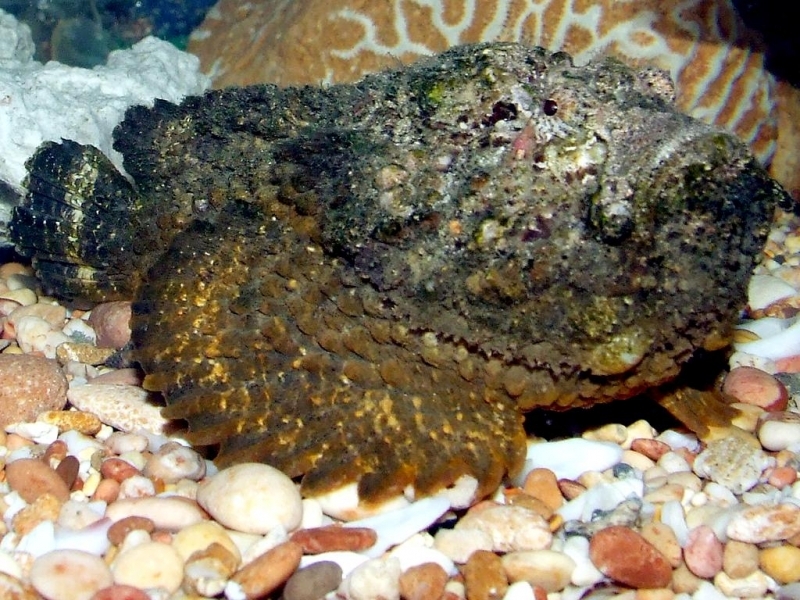 When the female Stonefish releases eggs into water, many of them fall prey to other fishes. 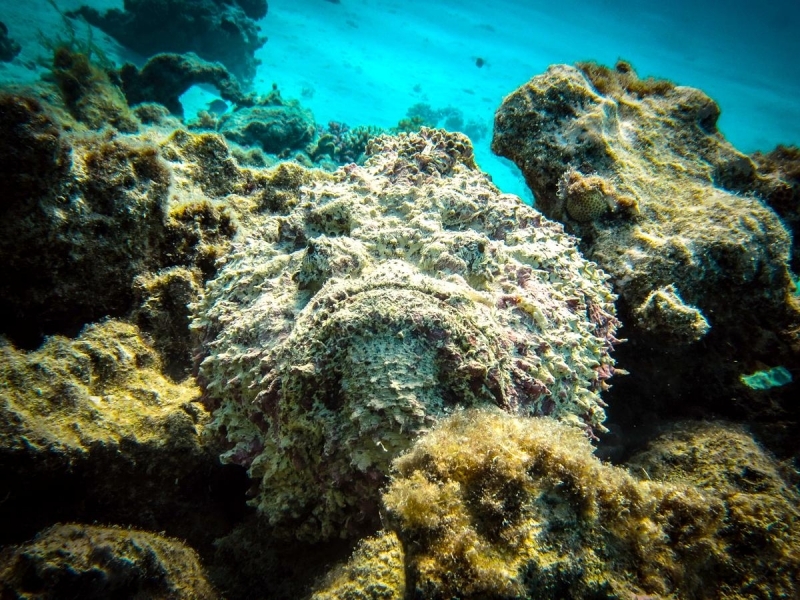 Research at the Queensland Museum has discovered that Stonefish have been found in the gut contents of large sharks, particularly Tiger and Great Whites. 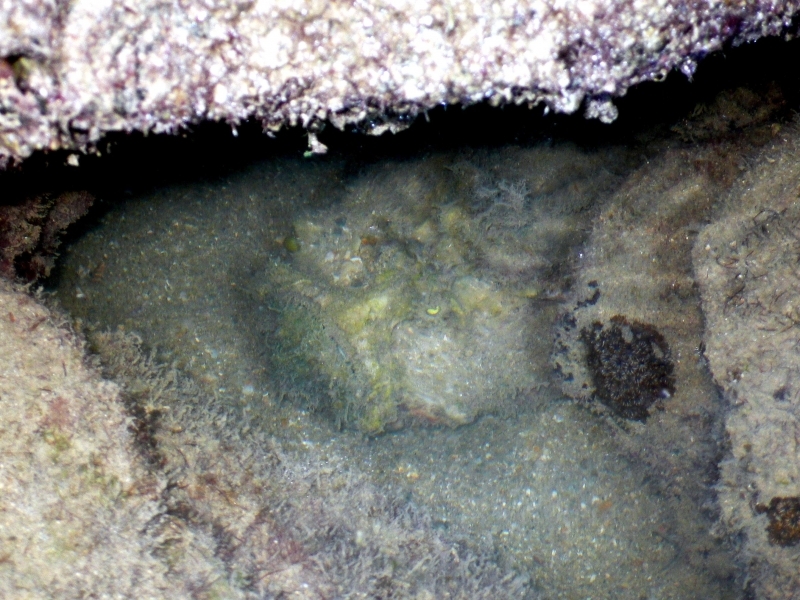 Stonefish can be found single or in a group under rocks & rubble. 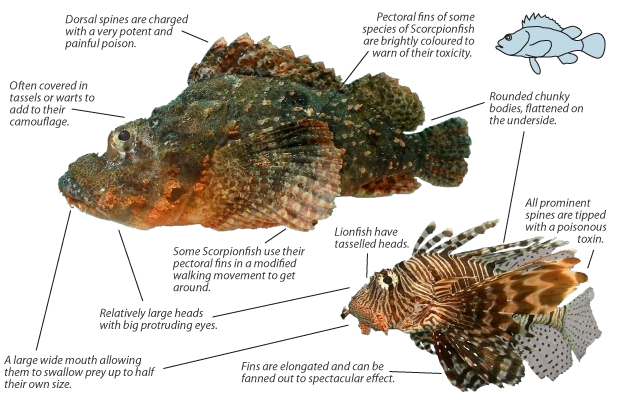 They also bury themselves with just their spines & fins visible. 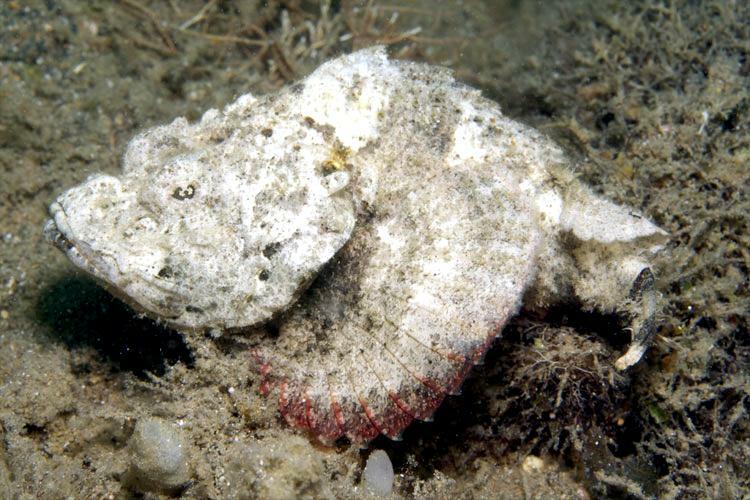 A Stonefish can live for almost 24-hours when it is kept out of water. 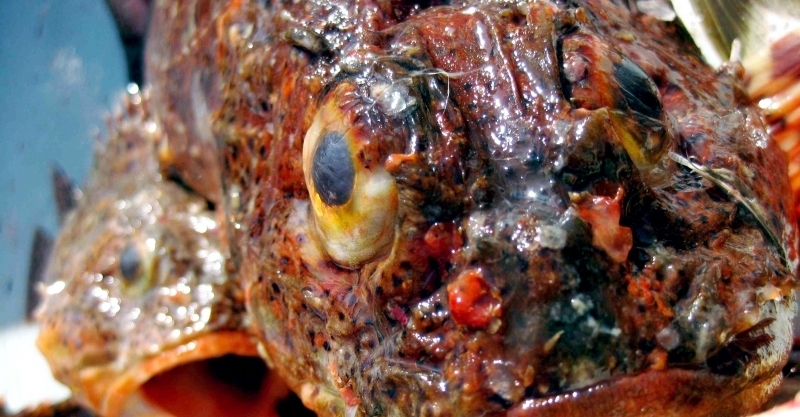 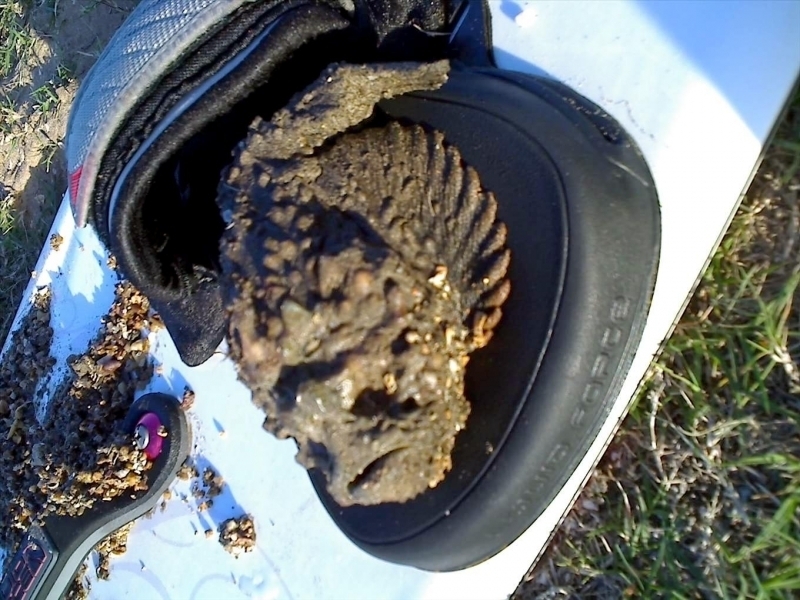 One unusual behavior of Stonefish is that it can spit water. 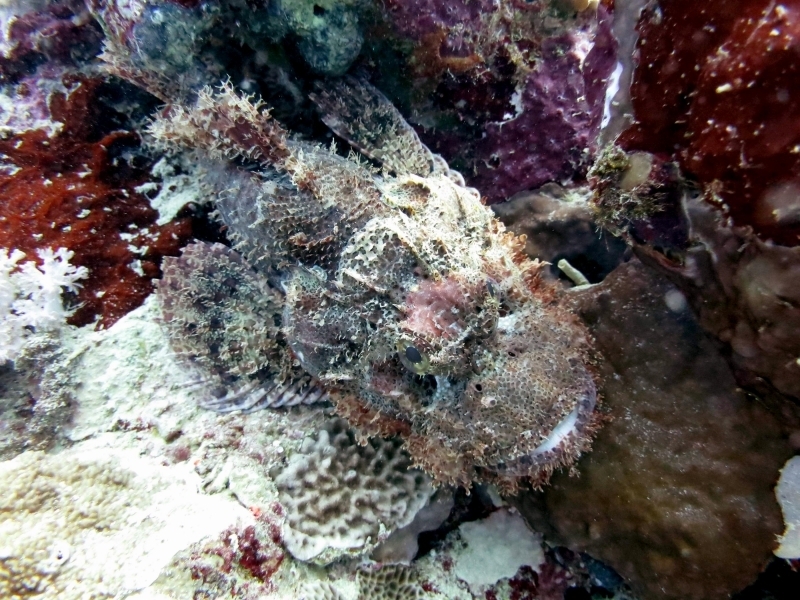 Usually the Stonefish lies still and waits till a prey swims away before it attacks. 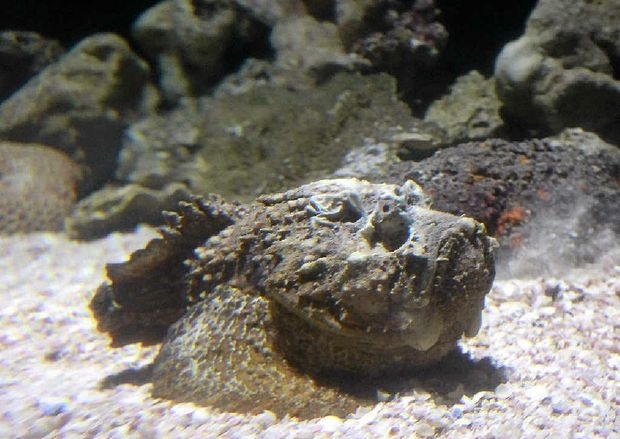 One of the deadliest marine creatures on Earth, the Stonefish swims at a low-speed unless it spots its prey. 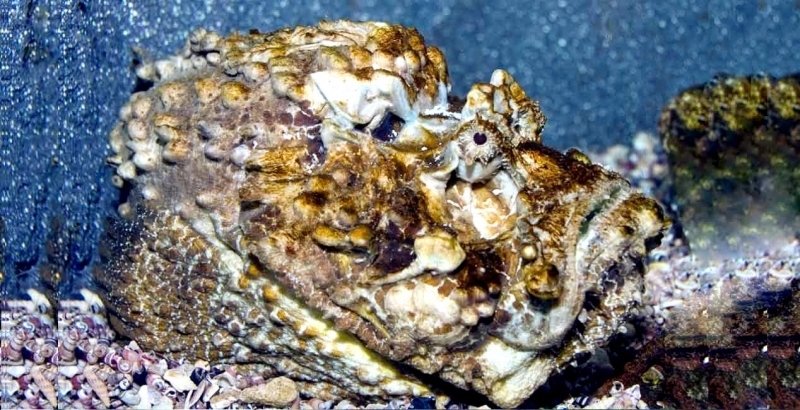 Stonefish do not have any scales on its body, but it has an encrusted skin which resembles a rock or stone making it difficult for preys, predators & humans to identify these in the water. 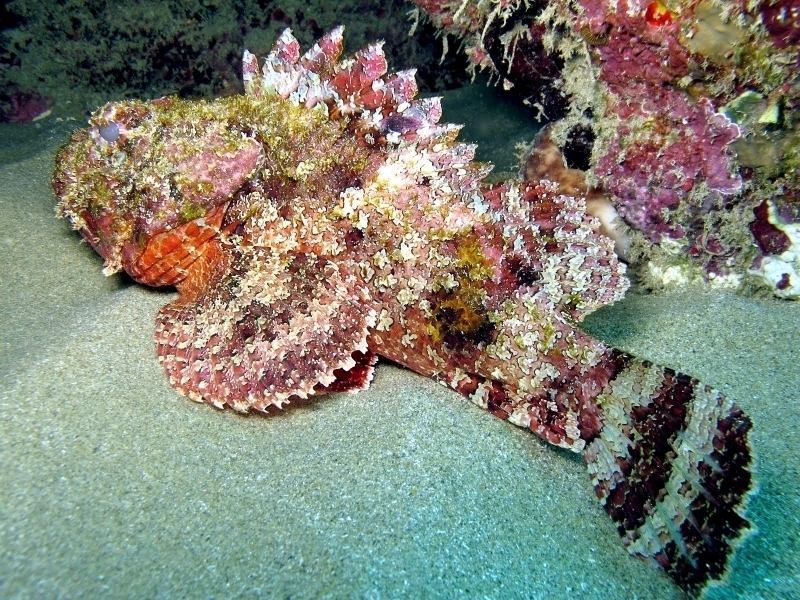 Some of their poisonous spines are concealed within the skin. 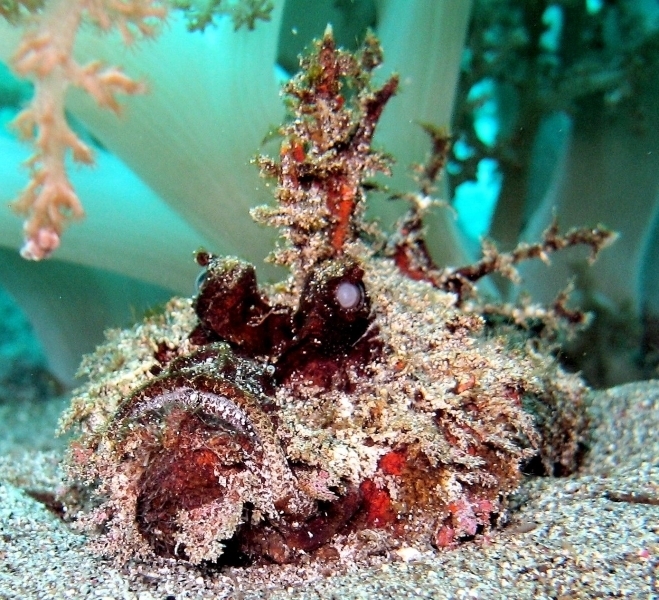 Only 0.015 seconds are needed for a Stonefish to attack its prey. 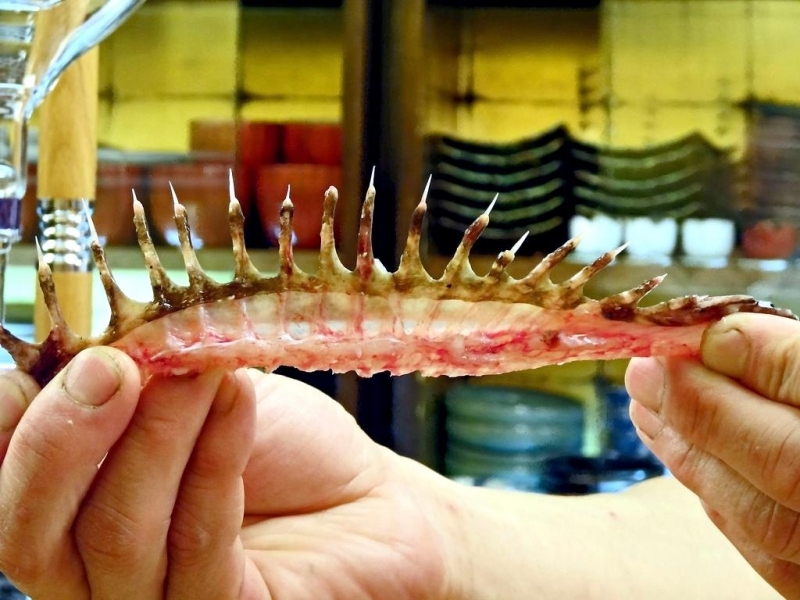 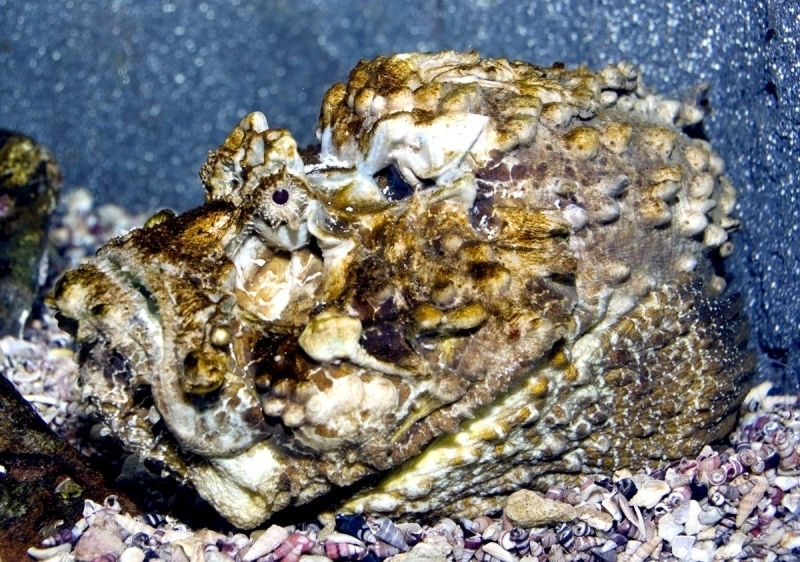 An anti-venom has been developed for Stonefish stings. 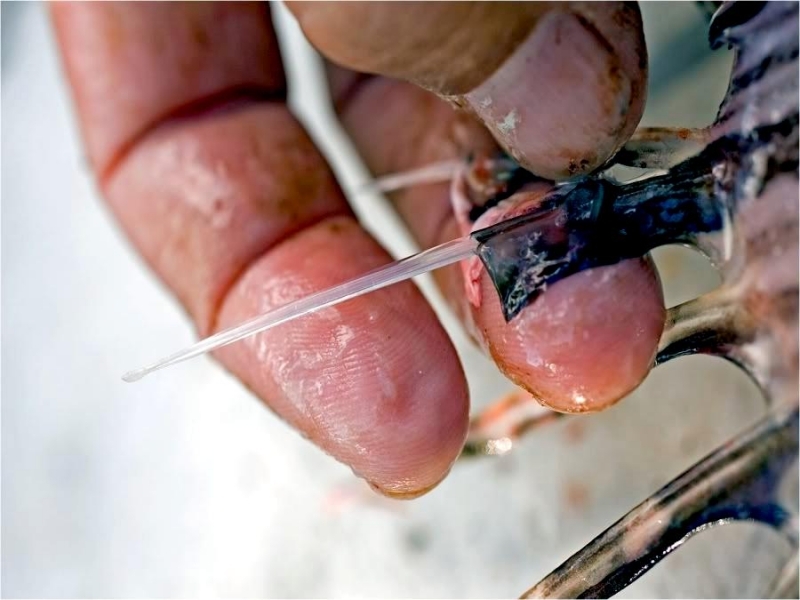 The number of wounds will govern the amount of anti-venom required for the victim.